A great way to celebrate St. Patrick's Day with your preschooler is to have a leprechaun visit. It's a fun little prank you can play in the house and a bit like having the tooth fairy stop by, only leprechauns tend to cause a lot more mischief. Leprechauns are mythical figures in Irish folklore. While they are best known for hiding a pot of at the end of the rainbow, they are also supposed to be very, very naughty, playing lots of tricks on unsuspecting humans. For some St. Patrick's Day fun with your little one, try luring one of the wee ones to your home and see what happens next! These leprechaun visit ideas offer you a chance to bring a bit of magic to your preschooler. At the same time, you're encouraging her to learn more about St. Patrick's Day. To make the visit really special, be sure to talk about St. Patrick's Day and leprechauns ahead of time, so your preschooler understands what is going on. Read books and tell stories about leprechauns. Then, the night before St. Patrick's Day, remind your child what the next day is and that they should be on the lookout for a special visitor the next morning. Before your children wake up in the morning, your mission is to leave little leprechaun traces all around the house. When you make it look like a mischievous wee one was around overnight, your kids will be amazed that they really did visit. They'll also be surprised at the mess leprechauns can make! 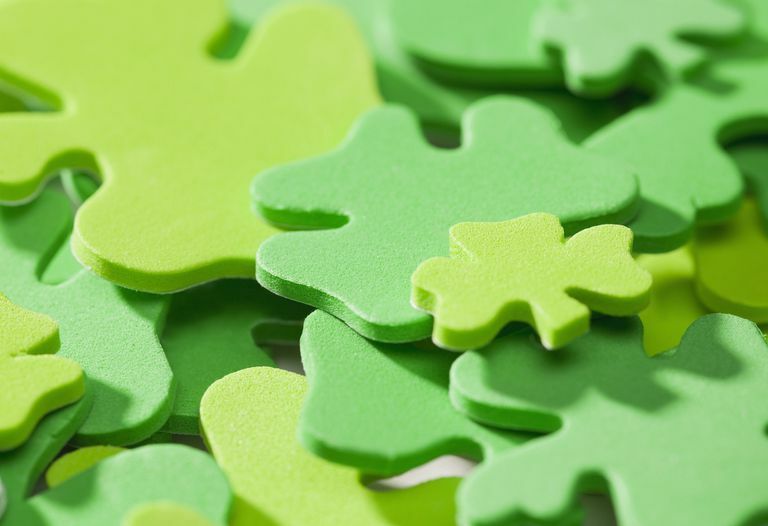 You don't have to do all of these ideas to make your preschooler's St. Patrick's Day fun. Simply incorporate the ones you like and modify them to suit your needs. Most importantly, have fun and be silly! Overturn some of the furniture or move notable items (books, vases, etc.) out of their normal places. Make a mess of the playroom, empty your preschooler's clothing drawers, turn paintings or pictures upside down, toilet paper the kitchen, or swap shoes among family members. Remember, leprechauns are supposed to cause (harmless) trouble—the funnier the better! Using green construction paper or washable green paint, make leprechaun footprints throughout the house. While leprechauns are usually on the small size, make sure the footprints are big enough to be noticed. Try using a baby shoe as a template to trace and cut out. Using green (or equal parts blue and yellow) food coloring, make the water in the toilet bowl green. This will especially appeal to the silly preschoolers in the group! While you are in the bathroom, unroll the toilet paper and take all the tissues out of the box. Also using green food coloring, dye the milk in the refrigerator green. If you are really thinking ahead, dye your eggs green and freeze green ice cubes! Scatter green and gold festive chocolate coins around the house (or room, whatever you are choosing to do). Alternatively, you could use "gold" $1 coins or $2 bills, which seem to make kids laugh. You can get both from most banks. Make a trail using the footprints above, green and gold confetti, or shamrock shapes that lead to a hidden treasure. At the end of the trail, place a bucket (pot) filled with chocolate coins, St. Patrick's Day cookies, and green trinkets and toys. Swap your child's normal breakfast cereal for a box of Lucky Charms. Fill your preschooler's bedroom with green, orange, and white (the colors of the Irish flag) balloons or streamers. Dye white carnations green with food coloring and leave a bouquet on the table. Your local florist may also sell them in the days leading up to March 17. Purchase a pot of oxalis (shamrocks) from your local nursery and put it on your kitchen table or outside, any place your preschooler will see it. Leave mini "pots of gold" on the table. Spray paint small ceramic planters black. Get pipe cleaners in every color and make rainbows that you can rig into the pot. Depending on the size, you might need to cut the pipe cleaner in half, and with some creative bending and twisting, you can get a nice fit. Fill the pot with gold candies or coins. Leave a note from the leprechaun signed with a good Irish name. Have fun explaining exactly what went on while your child was asleep. For local flavor, be sure to use some common Irish terms. Bonus points if your note is in limerick form! If you can get your hands on a tiny doll black top hat, leave that behind for your preschooler to find. If you can find a red wig, scatter some wisps of hair around for extra fun. Have the leprechaun hide chocolate gold coins or other treats for your preschooler to find. Fill your bathtub with St. Patrick's Day rubber duckies. If your child is a sound sleeper, stamp her hand with a shamrock stamp or shamrock stickers or even a washable shamrock tattoo. If she's a really sound sleeper, paint her fingernails or toenails green! Cut out shamrocks and four-leaf-clovers out of construction paper and leave them all around the house: on mirrors, doors, walls, chairs, even the floor.